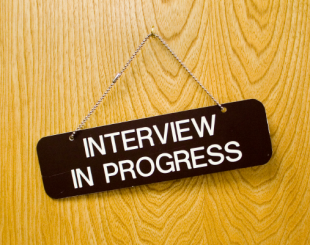 Do you get nervous before interviews (as the interviewer or interviewee?). You’re not alone! Being prepared can make a huge difference. Whether you’re mastering body language techniques, becoming an active listener, or brushing up on general interview skills, preparation is key! With this week’s featured courses, you’re sure to nail your next interview, no matter which side of the table you’re on! Do you want to be able to decode human behavior and completely change the way you interact with and listen to others? 93% of interpersonal communication is nonverbal—through the latest scientific techniques, you’ll gain insight into body language (including the seven universal facial expressions), emotions, and human lie detection. This course is for everyone; if you’ve ever interacted with another person, you’ll benefit from the communication skills gained. You’ll be an expert after this 1 hour course—$49.00. Is your goal is to become a better listener and improve relationships with both internal and external customers? Avoid misunderstandings stemming from a lack of “active listening.” Hear and process what the other person is saying without simply preparing your next response. Make your conversations more meaningful and productive. Skills covered in this 45 minute course include: clarifying questions, paraphrasing, summarizing, and more. Get started for $15.00. Need interview tips and advice (as the interviewee or the interviewer)? In 101, get the interviewee basics in 35 minutes for $14.95—what to wear, what to say, when to follow-up, and more. You’ll move through a typical interview process via application exercises and a multi-media process. In 201, become a better interviewer in only 25 minutes for $14.95—conduct effective interviews to get the right people in the right seats. Ask the right questions: Will he/she be a good fit? Who else should be involved in this interview? This course from Lou Ader illustrates the job-hunting process from beginning to end; candidates will learn how to navigate the system to get the job they deserve. Topics include tips on networking, interviewing, preparing a resume, developing a successful online presence and negotiating & closing an offer. However, the greatest value to the serious job-seeker is how Lou captures the perspective of a veteran headhunter, putting all these factors into the context of Performance-based Hiring. This short course is almost like a personal coaching session for the job-seeker who is looking for practical insights that will lead them down the road to success—$29.95.